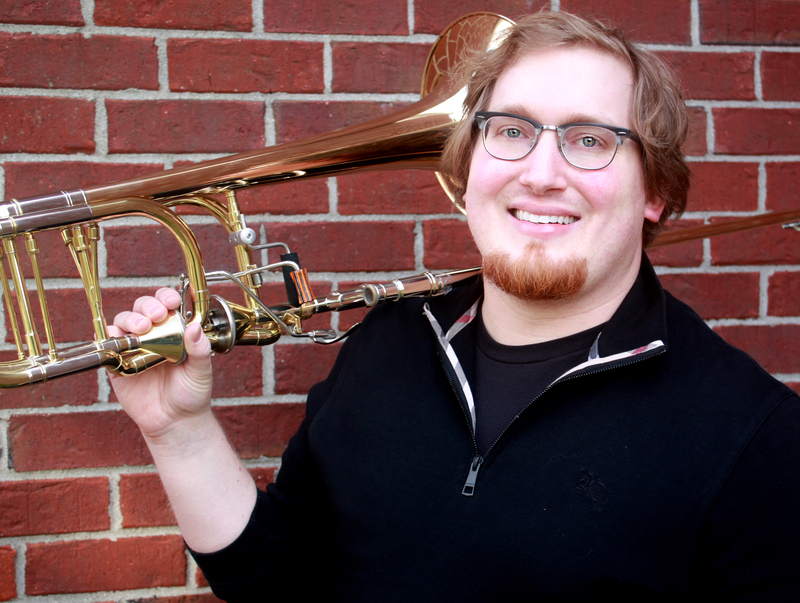 Kyle Gordon is in currently in his first season as Bass Trombone with the Houston Grand Opera and finishing up his second year as the Instructor of Low Brass at Drake University. He received his MM in trombone performance from the Indiana University Jacobs School of Music where he served as Graduate Assistant. Prior to his studies at Indiana University, Kyle received a Bachelor’s degree in K-12 Instrumental and Vocal Music Education from Drake University in Des Moines, Iowa. Throughout his education he has studied with M.Dee Stewart, Dr. Graydon McGrannahan, and Jared Rodin. Kyle was awarded a Performer's Certificate from Indiana University, recognizing his outstanding work as a solo performer. Kyle was the winner of the Indiana University brass concerto competition and performed Daniel Schnyder’s subZERO: concerto for Bass Trombone and Orchestra with Indiana University’s Symphony Orchestra. In addition to this he has additional studies in early music and bass sackbut. Kyle is a member of Pi Kappa Lambda and Phi Mu Alpha Sinfonia as well as the recipient of the James M. Cox Memorial Scholarship for young music educators. When he isn’t playing trombone he and his wife, Sabrina, enjoy hiking, playing board games, and spending time with their two cats, Conn and Holton.